A must-see property with big sweeping views, this gorgeous home is thoughtfully designed to provide dramatic long-range vistas. Well suited for entertaining, the floorplan works for families large and small because of the simplicity of the structure and the attention to detail. 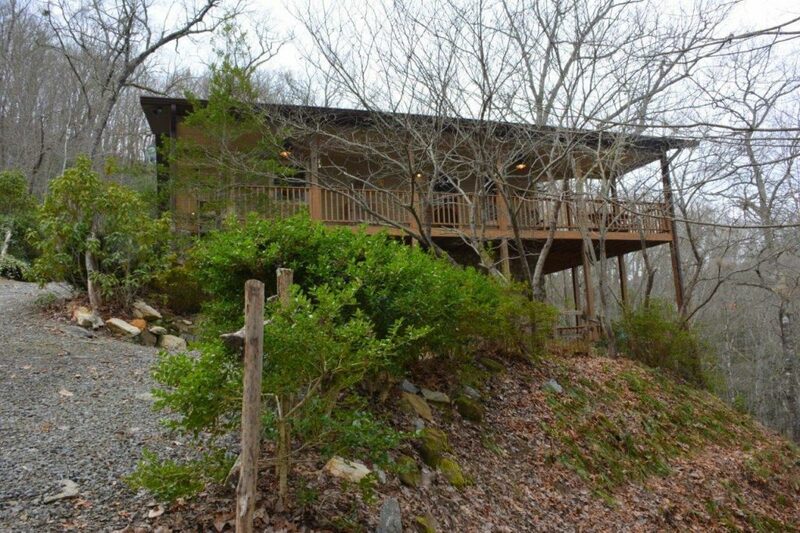 The home is approximately 2,180 sq. 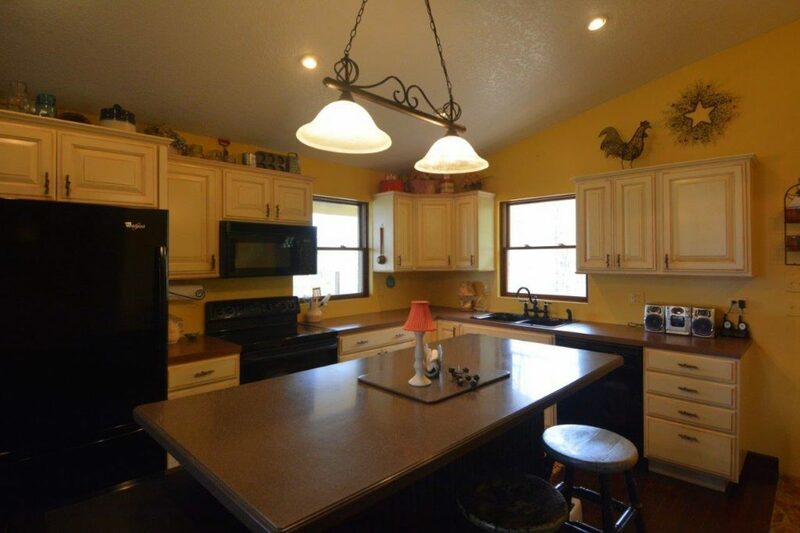 ft and features three bedrooms and two baths situated on 0.81 acre. The owners enjoy a large master suite on the main level. 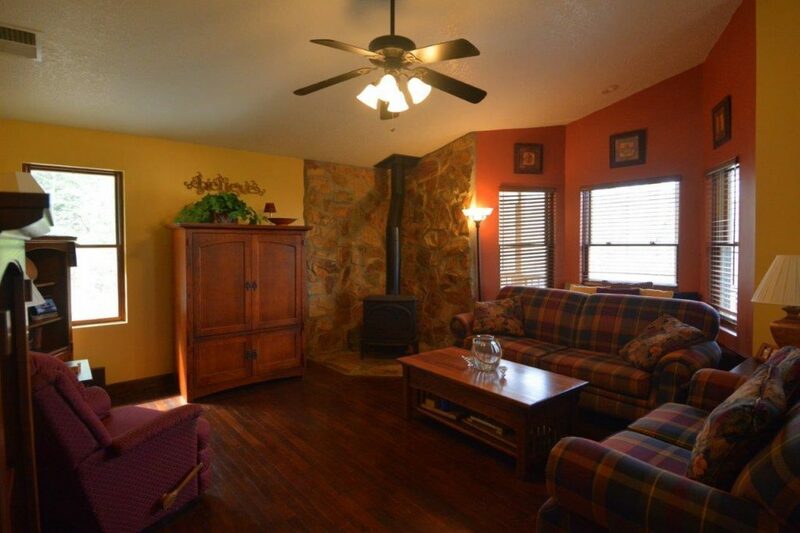 A towering Nantahala stone fireplace surround with cast iron wood burning stove anchors the spacious and open living, dining and gourmet kitchen. 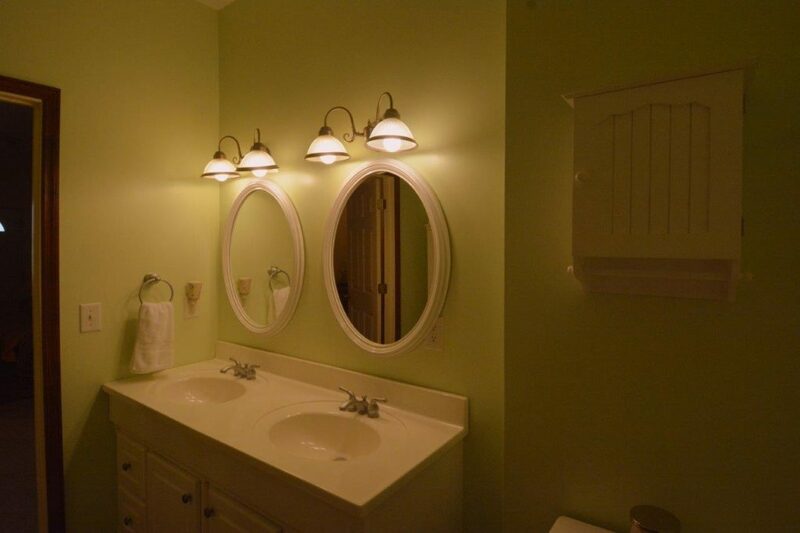 Vaulted ceiling accentuate the numerous upgrades featured throughout the home such as tall kitchen cabinetry, wood floors, granite counters, smooth surface range and large kitchen island that is a charming re-purposed antique dresser. 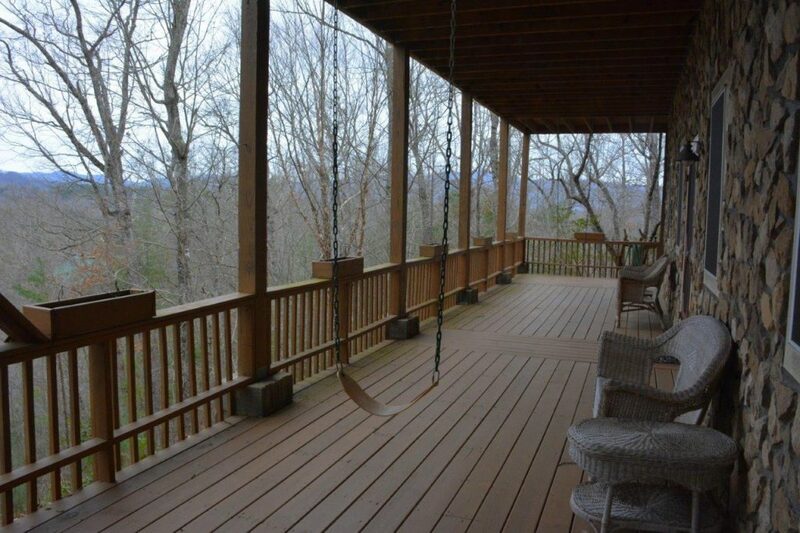 For those who like to entertain family and friends, some of your guests will want to enjoy their meals in the mountain air on the wrap around covered deck while taking in the breathtaking panorama. Others may gather on the lower level covered porch with native stone wall to savor equally dramatic views any time of day. 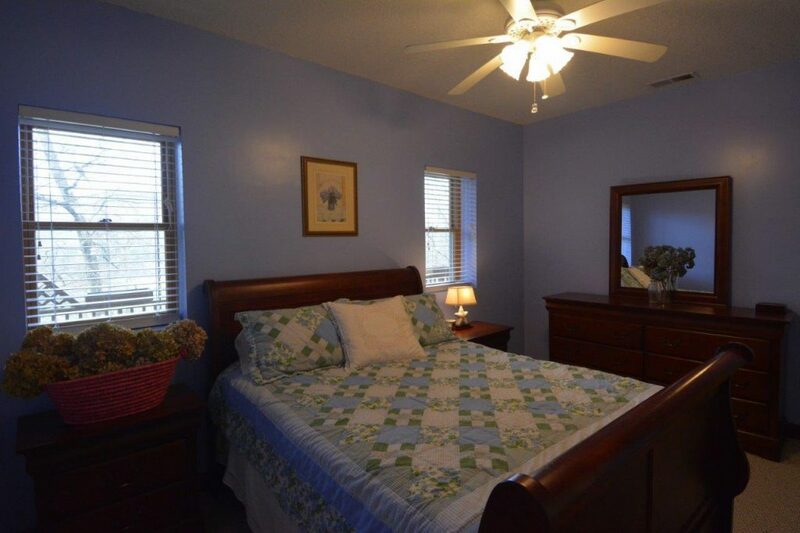 Two spacious bedrooms with an additional bathroom share a second family room that offers plenty of space for fun and games! 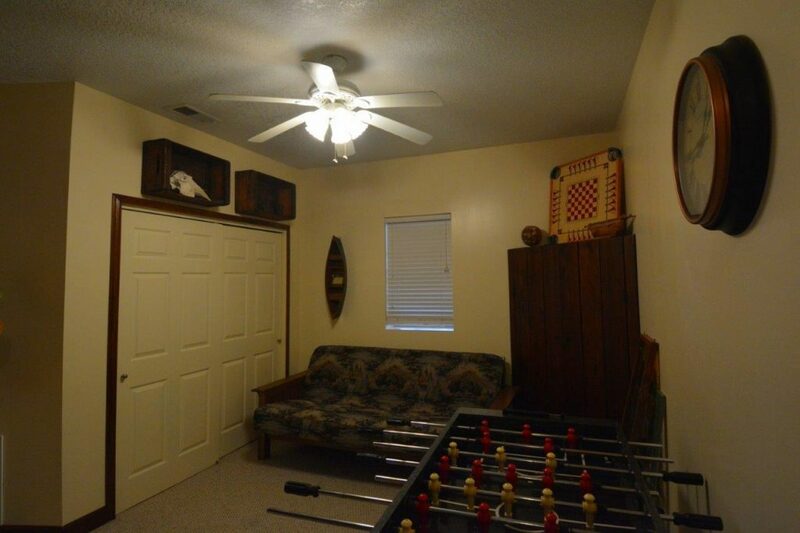 There is a bunkroom that could double as an exercise or craft room to complete the lower level. 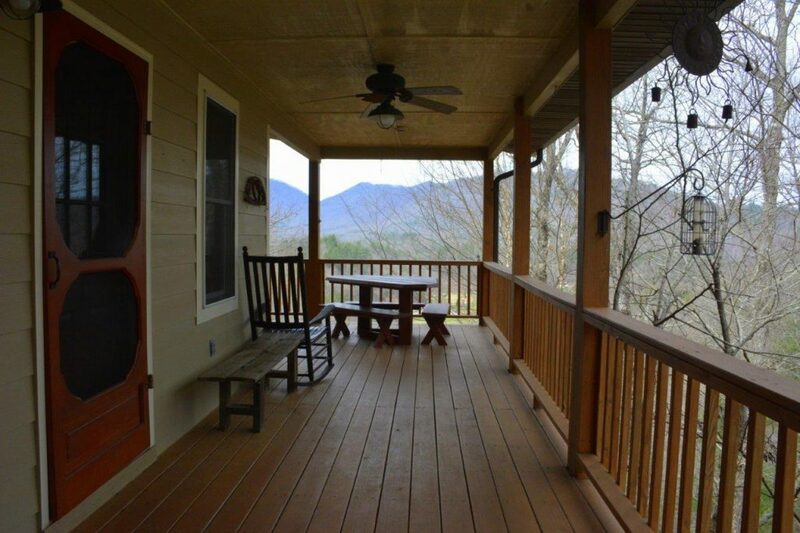 Situated just minutes from Robbinsville and easy access to Bryson City, the home is in the heart of outdoor activities such as the Appalachian Trail, Fontana Lake, Tsali Recreation Area as well as Tail of the Dragon, Joyce Kilmer Memorial Forest, Santeetlah Lake and the Cherohala Skyway. With enticing outdoor spaces, unobstructed views of the mountains outside your door, this gem is a special place for making memories with your family and friends for years to come.